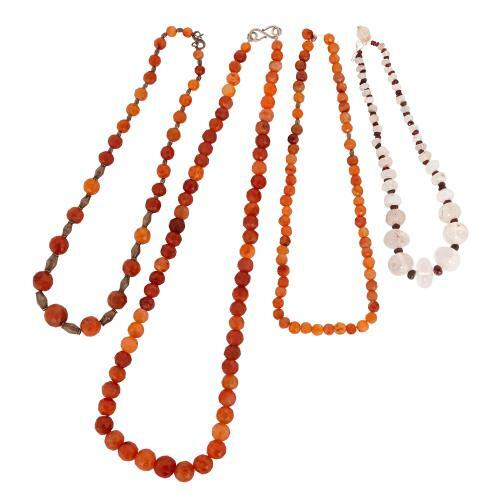 The semi-precious minerals carnelian, rock crystal and garnet make up this exquisite set of four necklaces, vibrantly coloured in red, orange and white. 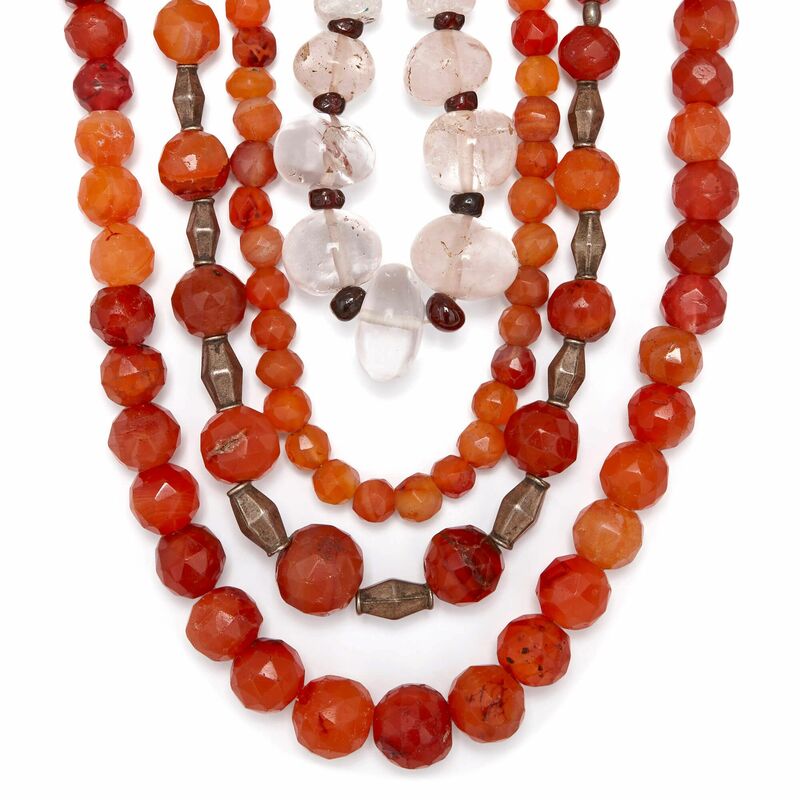 These fascinating necklaces date, astonishingly, as far back as the 12th Century AD. 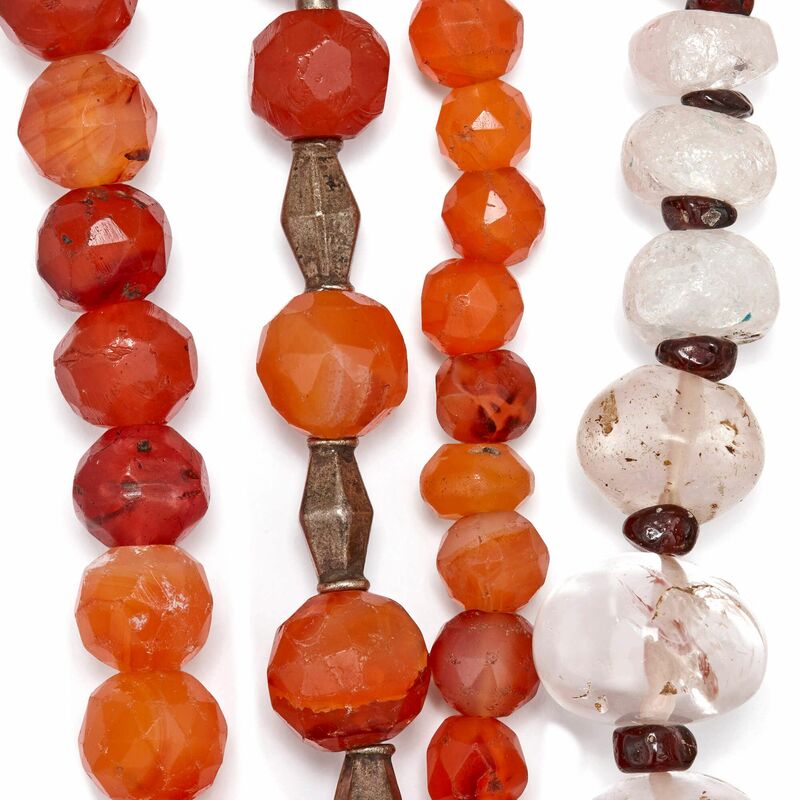 They are a product of the Islamic world of the time, which extended across the entirety of today's Middle East and beyond. 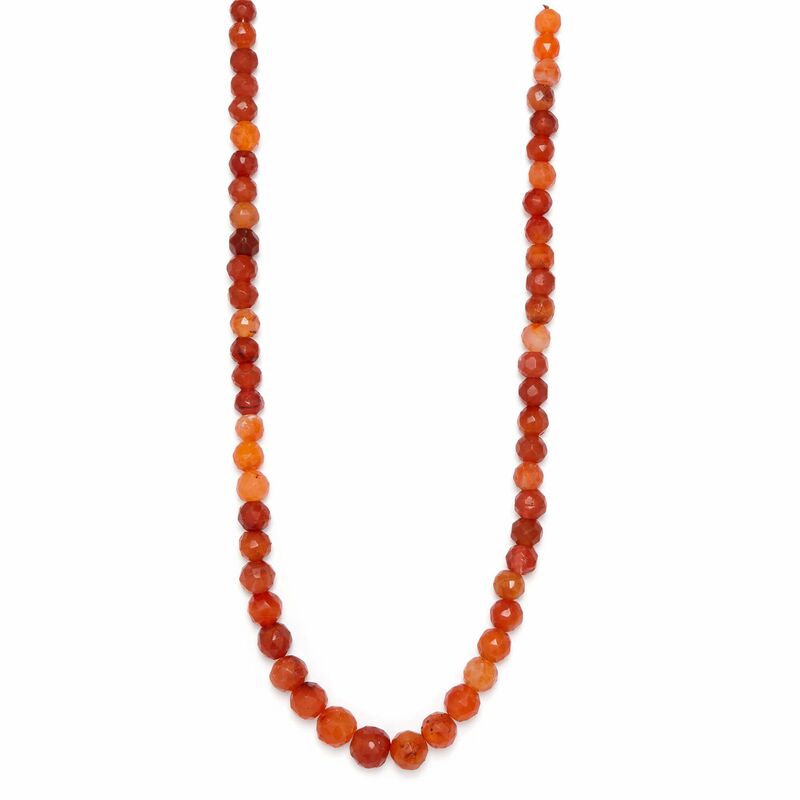 And despite their age, these necklaces are still just as vibrant as the day they were made, thanks to the beautiful gemstones which make them up. 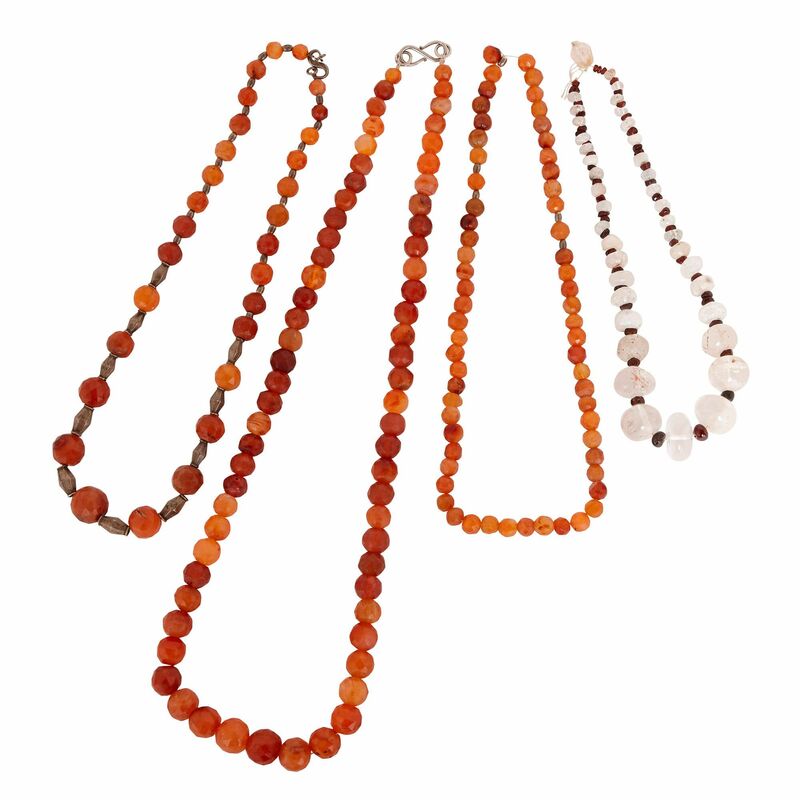 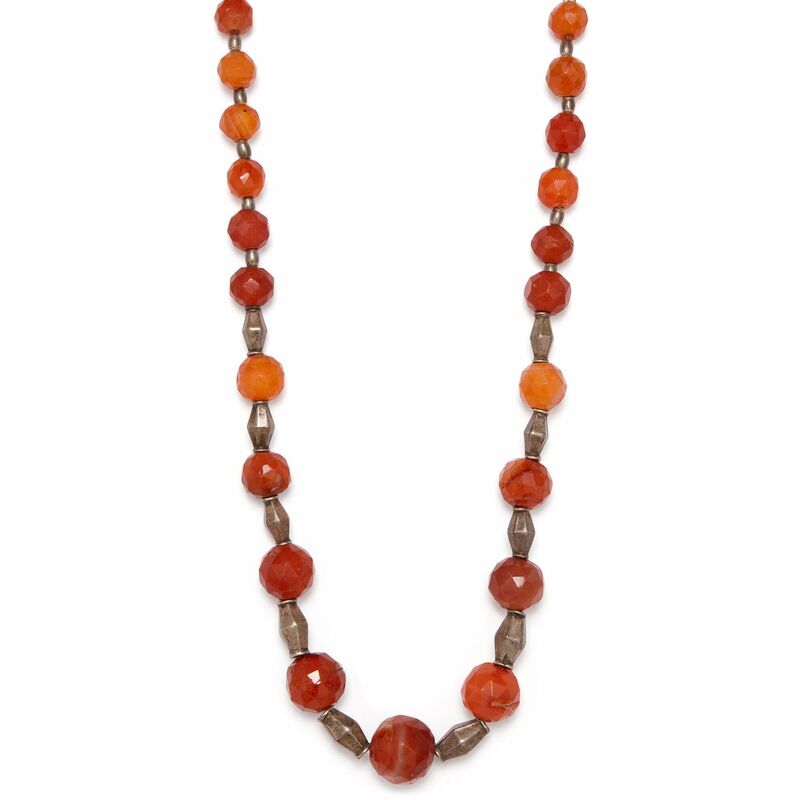 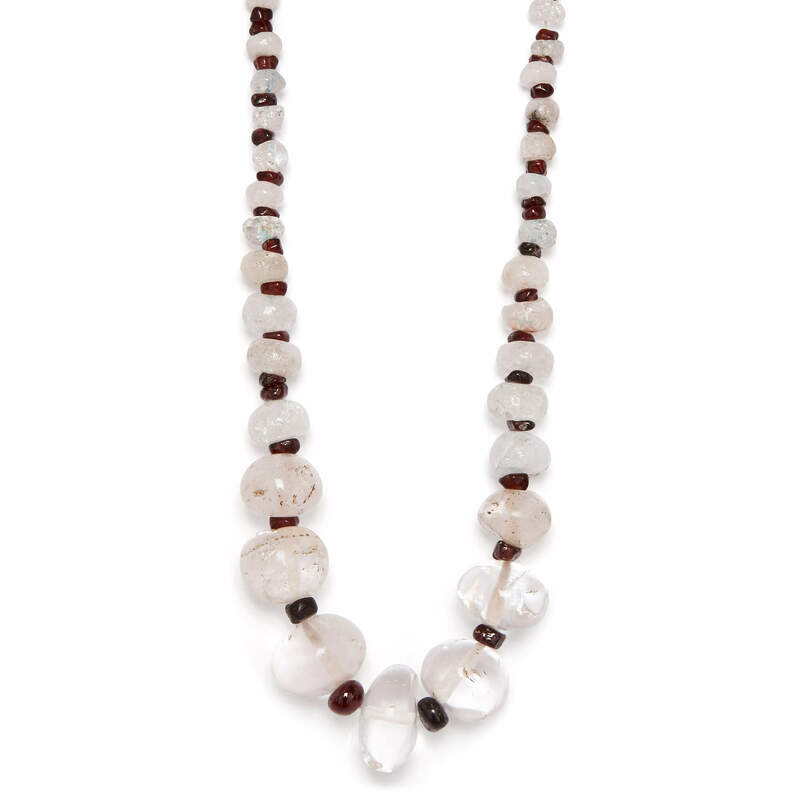 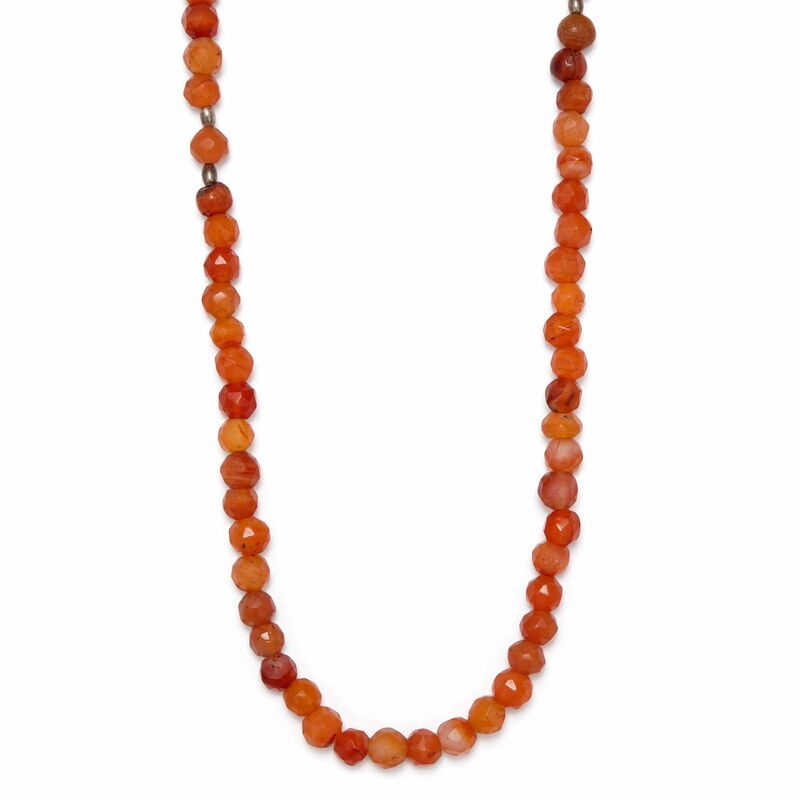 Three of the four necklaces are made from faceted beads of carnelian, a bright orange-red mineral; while the fourth necklace is made from alternating beads of clear rock crystal and dark red garnet in graduating sizes.